Yep, that's right! For the Korean version release of skateboarding game, Tony Hawk Pro Skater 2, the game featured the ability to play as special feature characters: FIN.K.L. Yep, this means you can bust a sick kickflip as Lee Hyori. Back in the day, before BTS dominated as the number one boy group, the Jonas Brothers reigned supreme. The group brought on K-Pop group, Wonder Girls, as an opening act for their tour! This big moment garnered attention to not only the group but also K-Pop as a whole in the US. Crayon Pop has done many collabs with all sorts of artists, but a cool fact is that this eclectic group opened for pop superstar, Lady Gaga! The group even filmed the experience and put it in a little video for their fans. 4. Tablo went to Stanford! Rapper and writer, Tablo, is known for being eloquent and outspoken, but did you know he went to Stanford? He took a 3 year accelerated course to attain a Bachelors degree in English Literature and a Masters in Creative Writing! This is what we call a truly epic moment. However, a lot of fans totally sleep on this moment and forget about its incredible existence! Hyorin slays this duet with Stevie Wonder! 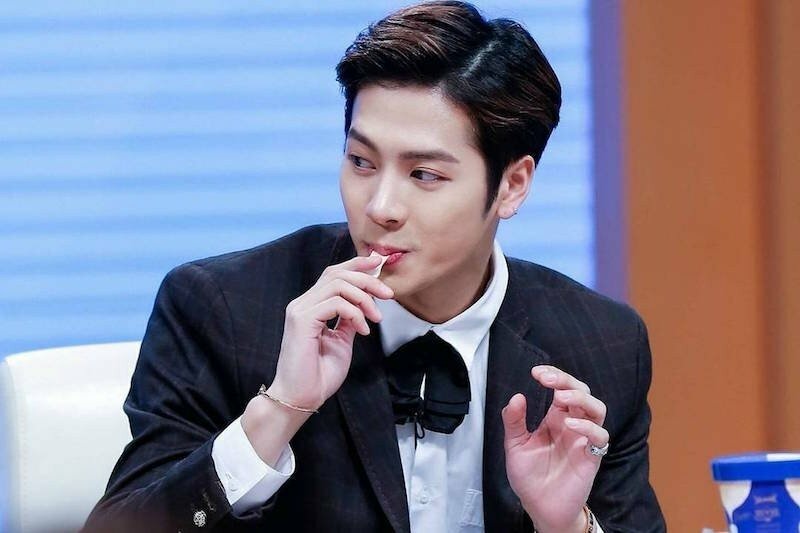 Jackson used to be a fencer for Hong Kong's fencing team. The idol explained he was preparing for the 2012 London Olympics when he got scouted by JYP Entertainment. He was a very good fencer with a high win percentage in his matches. During the 2010 Chinese Games, he won second in the U20's Men's saber competition. He was also ranked 11th in the world for youth fencing at one time. 7. DEAN and the UNDERWATER SQUAD? Before DEAN did his own thing with his own crew, he was a young teen rocking alongside none other than Korean rapper, Keith Ape. This resurfaced collaboration is a showcase of the type of music they used to create when Keith Ape was still under the name "Kid Ash" and DEAN opts for rapping over singing. Elon Musk's pop star girlfriend, Grimes, lended vocals to LOONA's song, so naturally her boyfriend, the co-founder of Paypal, and founder of Tesla Motors, had to show his support for the K-Pop group. This random fact is just out-of-this-world.